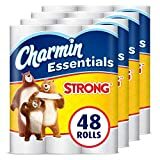 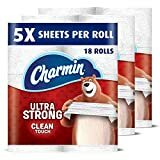 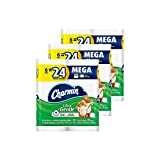 If you're tired of running out of toilet paper at the absolute worst of times, need way more firepower when TPing someone's house on Halloween, or just want to give your overweight cat a real workout, look no further than this cool new Charmin Forever Roll. 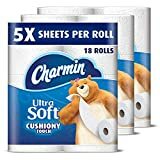 This gigantic roll of Charmin Ultra Soft toilet paper is called a Forever Roll, but will last multiple users up to a month at a time with its plentiful 1700 2-ply sheets per roll. 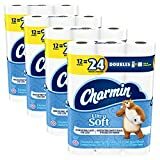 The starter kit includes either a freestanding toilet paper holder or a wall-mounted holder and 3 rolls with roll replacements available stand-alone or as part of a monthly subscription. 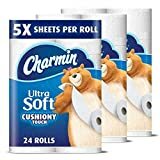 Hmm, now they just need forever wet wipes.